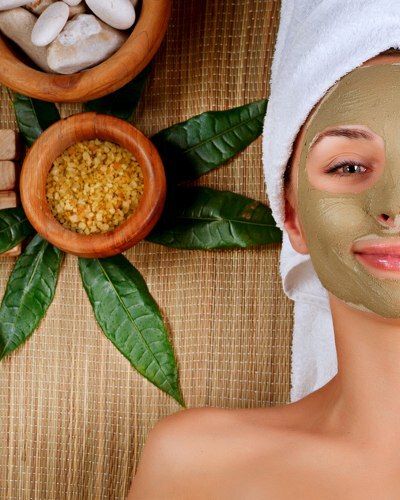 Remedies for Blemishes: Here’s How to Get the Perfect Skin! Who doesn’t want gorgeous, glowing skin? Blemishes, however — be it thanks to the mighty sun or repercussions of scars from years ago— end up becoming a constant cause of worry. Among other things in life, getting rid of skin blemishes can be quite tricky too! So, if you’re looking for some quick-yet-super-effective remedies for blemishes, you’re at just the right place! Extremely effective and easily available - this method works wonders! Lemon juice act as perfect remedies for blemishes with its high citric-acid content, exfoliates the skin, removes excess oil and kills acne-causing bacteria. 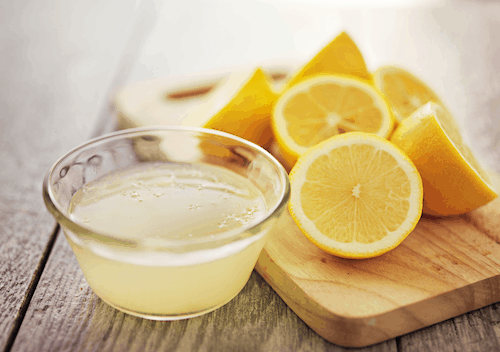 Just squeeze out some juice from a lemon and apply it gently with cotton onto your skin. Remember that since lemon contains a high proportion of acids, it could lead to skin irritation if left on for too long. Keep it on for no more than 10-15 minutes (enough for the lemon juice to work its charm) and wash your face with cold water to get relief from inflammation. As an alternative, drinking lemon water with a teaspoon of honey regularly is also a great way to get glowing skin! Since tomatoes are known to be rich in Vitamin C and antioxidants, tomato juice or pulp is an excellent option to get the glowing, blemish-free skin you’ve always wanted. Just massage your skin with tomato pulp and leave it on for 15-20 minutes into your blemished skin. Rinse it off with cold water and you’re done! In addition, tomato pulp will also help shrink large pores, cure acne and help in dealing with suntan. Adding fresh tomatoes to your diet on a regular basis is also an effective way to achieve fresh and healthy skin. Sandalwood and rosewater are both very effective ingredients for removing spots or marks and restoring the balance of your skin. Used together, they work wonders. 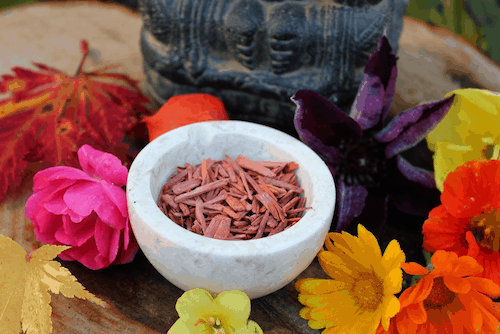 Just take some powdered sandalwood and rosewater in equal measures and make a fine mixture combining the two.Apply the mixture generously on your face. Keep it till it starts to dry off and then rinse. Doing this regularly for your blemished skin and it will bring you much, much closer to your dream skin! Fenugreek or methi leaves are extremely helpful if you’re trying to get rid of dark spots or acne marks from your face. To use these leaves effectively, mash them up well and make a fine paste by adding water. Apply this paste all over your face and leave it on for about 20-30 minutes. Once the mixture dries, wash it off with cold water and a mild cleanser if needed. Fenugreek leaves can also be consumed in the form of tea. Add a tinge of cinnamon to it and you have an easy and effective solution to reduce inflammation. Though both are very beneficial ingredients individually, if put together, they only work wonders! 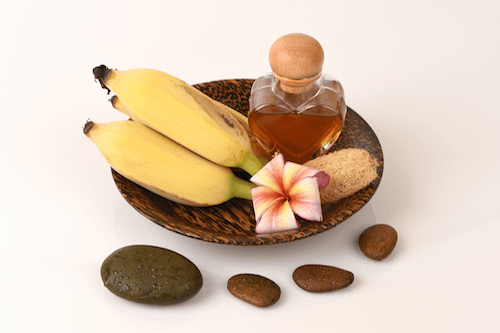 For fresh and beautiful skin, mash about a quarter of a large cucumber and a banana in a bowl. Add about one tablespoon of honey and squeeze in some lemon juice (use one lemon) into the mixture. Put 2 drops of olive oil in the mixture and blend well. Once it is well blended, apply the mixture onto your face and leave for about 20-30 minutes or until it is dry. Do this as regularly as you’d like! And Remember: Prevention Is Better Than Cure! The first step to completely get rid of blemishes is to prevent them from increasing further when you first spot them occurring. Don’t waste time when you see acne, blackheads or whiteheads. Start treating them as soon as you see them. AND, most importantly, do not prick your pimples or try to extract blackheads or whiteheads forcefully! 2. Take care of your skin on a daily basis Do you only panic and rush to save your skin when you see blemishes arising? Well, that’s half the problem, right there! Treat your skin right on a daily basis. Wash your face with a mild face wash regularly and exfoliate gently at least once a week. Also, don’t forget to take that makeup off before sleeping! 3. Avoid overexposure to sun And if this is something you can’t avoid (be it due to the nature of your work or your general liking to the sun! ), make sure you use a high SPF sunscreen regularly! Using SPF on a daily basis is a great way to avoid pigmentation and skin blemishes in general too. 4. Apply calamine lotion before going to bed Especially if you are prone to oily skin. Calamine lotion helps absorb excess oil from the skin. So, applying it before bed is a great way to prevent breakouts!